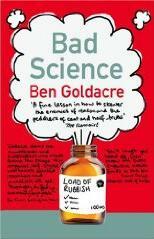 Â· In the hands of a pseudoscientist, even morally neutral items like bacteria and salt can become “good” or “bad”. 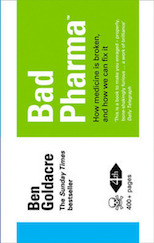 Paul Flowers writes in to tell us about Carex soap, available in his local pharmacy: “Carex effectively removes bad bacteria on hands, whilst gently protecting the good.” Presumably the soap molecules carefully examine the surface receptors and DNA profile of the bacteria, before comparing this against a comprehensive database of man’s vulnerabilities to bacterial attack, in order to calculate exactly how dangerous they might be, before ranking them in ascending order of evil? Â· Meanwhile, reader Adam Rice is slightly worried about the advice his father is being peddled on the “metabolic acceptability” of certain brands of salt. “After a number of articles on the danger of salt consumption appeared in the Guardian, my father resolved to give up his prodigious salt habit. To help in this endeavour, my mother purchased a fabulously eccentric book entitled Get the Salt Out by Ann Louise Gittleman (MS, CNS PhD).” In the spirit of all the best pseudoscientists, Ann calls upon the rhetorical force of the experimental method to bolster her case: “Put the salt you now use to a test to determine its metabolic acceptability: add a spoonful to a glass of plain water, stir it several times, and let it stand overnight. If the salt collects in a thick layer on the bottom of the glass, your salt has failed the test: it is heavily processed and not very usable by the body. To give your body salt it can use, switch instead to an unrefined natural salt that will dissolve in a glass of water as well as in bodily fluids. This experiment gives you a visual example of what refined salt can do to your system: collect in body organs and clog up the circulatory system.” I never knew that.